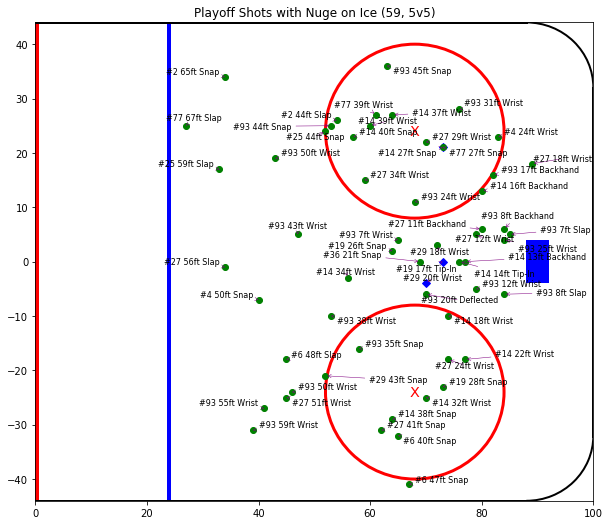 The below rink maps should be pretty self-explanatory. These are shots on net at 5 on 5 as recorded by the NHL (so not missed or blocked shots). I’d say he should have one or two more EV goals, and his line maybe should have more than two! Very informative to look at these shot maps. 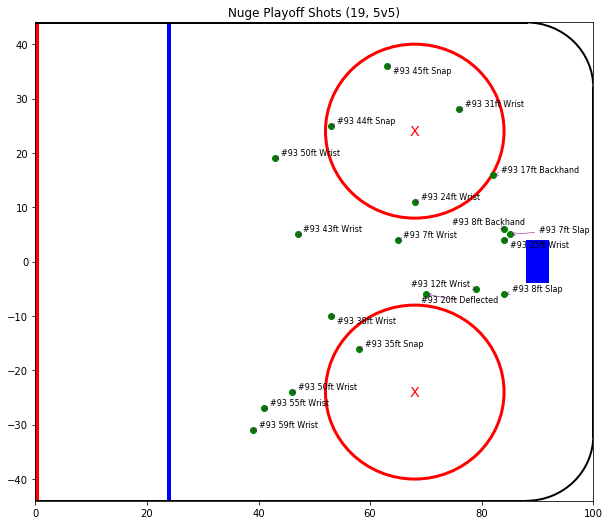 I can’t wait to see Nuge in the playoffs next season. It will be an eye opener for a lot of people I expect.